Former Dundee United and Hibernian midfielder Scott Robertson has joined Raith Rovers. The 30-year-old has agreed a deal until the end of the season after cutting short a spell with Botosani in Romania. 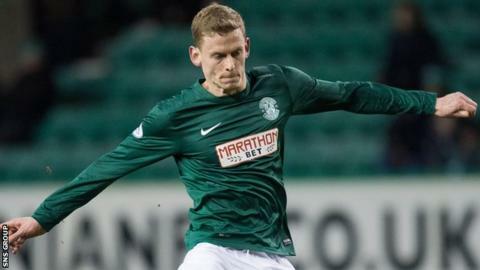 Robertson moved overseas in July after two seasons with Hibs but failed to settle and has been training with the Kirkcaldy side since mid-September. He goes straight into the squad for Saturday's Championship match at home to Morton. The deal is being funded by sponsorship from local business owners Colin and Margaret Smart. Robertson, who started his career with Dundee, was capped twice by Scotland during his four-year stay at Tannadice, which ended in 2012 with a move to Blackpool.